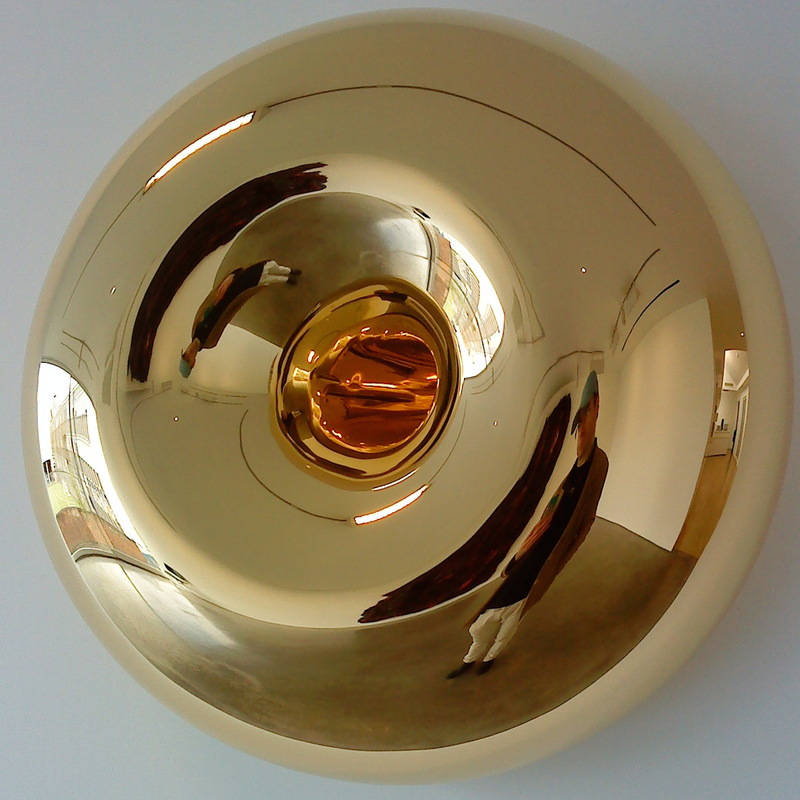 Anish Kapoor has become one of the most established British Artists of today. A bit of an irony since he started as an ‘outsider’ to the art establishment of the 1980s. But that was a time when merely being from a different ethnic group sufficed to make you seem an ‘interesting’ artist; apparently we did not expect people with Indian heritage to be making European style contemporary art back then. Although he was obviously not the first, he did synthesise the two cultures quite neatly. His use of loose pigment in bright colours on top of simple geometric forms displayed on the floor was fresh and appealing. The pigment recalled an Indian tradition, the forms a more modern kind of minimal European one. The work was not overly intellectual or emotionally involving, but carrying just enough of the right kind of artistic baggage to be let into the Fine Art club. It was instantly recognisable and marketable – he became one of the golden stars of the Lisson Gallery pantheon, the success of whom made Nicholas Logsdail seem the Svengali of the minimal. Much art at the Lisson is very ‘cool’ in tone – detached and ironically self aware. 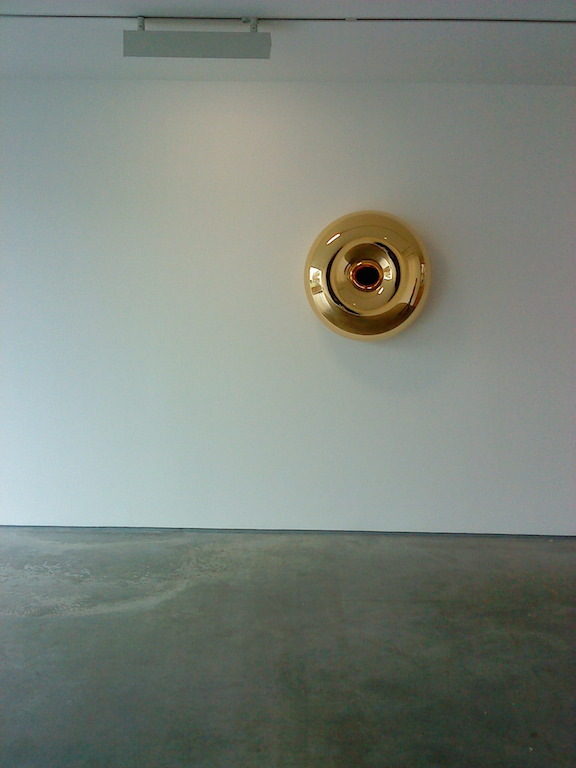 Spin the clock forward thirty years to this new Lisson Gallery show and there is something new on offer. Paintings of resin and silicon. 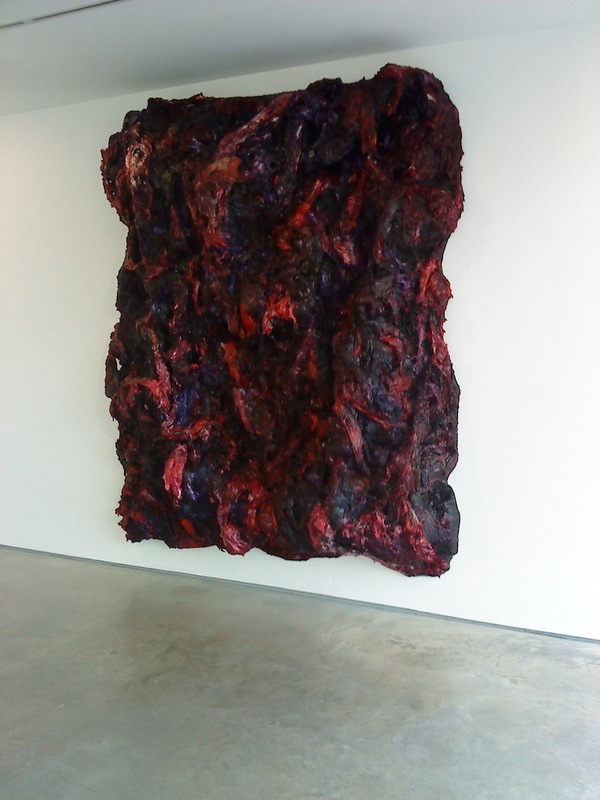 Meant to suggest meat, flesh and blood they hang on the wall thick and overpoweringly heavy and red. The dense physicality of the resin stretching across these huge works does have impact: almost defiling that clean and ordered space. For contrast there are a couple of more familiar mirror surface curved forms and a couple of stone floor sculptures – very smooth and cool. But it is all about the meat paintings. I say paintings, but really they are reliefs. They are not successful – they fall between various styles. Imagine a similar work done by Ron Mueck or the Boyle family – it would be rivetingly hyper-real. Or imagine it done by Leon Kossoff – it would have the full emotional impact of flesh riven from the bone. Or even dear old Damien Hirst. He would leave us in no doubt about the reality of the situation, or the sensual high to be had by examining the decay of our flesh. There is none of this. The blurb invokes Rembrandt, Soutine and Bacon, it should not. These works are neither a visceral realistic recreation of meat nor an imaginative equivalent. The colours are wrong – too simple to be real and yet somehow to descriptive to be painterly. Instead we are faced with something akin to a slasher film which has no plot, and hopes that buckets of fake gore will do the trick. Some weak minded punters may get a cheap thrill, but even for them I suspect that feeling will fade real quick. You can’t condemn an artist for trying something new, but I don’t think he will be remembered for this work. 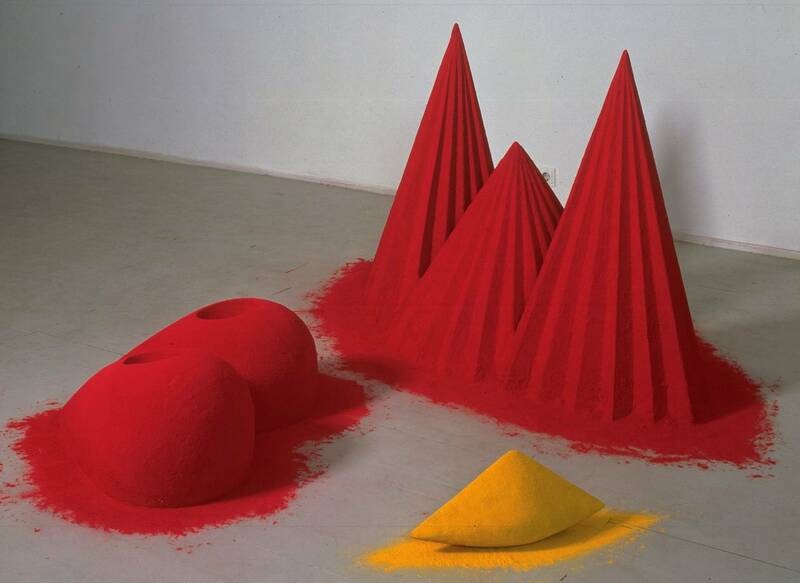 The qualities of the resin beguiled him into making this leap, but on their own they cannot support it – Kapoor would love to regard himself as a painter, but he has been too cool to get his hands dirty up to now, but now it is too late. He appears very interested in surfaces. He is a superficial artist – in the best possible sense. He allows the surface more prominence than other sculptors. His form merely allows the surface to display its properties – colour, reflection, absorption and so on. A while back I met a fabricator who had worked for him when I was teaching a 3D modelling class. I remarked that some of the sculptures at his previous Lisson show (this was in 2007) looked like a Maya primitive object with one or two vertices pulled out and then carved or cast on a large scale in a material with a gorgeous surface. He agreed, and said that was pretty much the case. But in a way this allows the simple forms to speak, and that is all to the good. Some say his work is spiritual, but I would say that it is – to me anyway – blank. Perhaps my spiritual life is void, but I would suggest any spirituality seen in this work is a cultural overlay brought by the viewer. Who cares though, when the surfaces are this delicious? You can see the centre of the universe from here. This entry was posted in Art, British, Contemporary, Galleries, London, Sculpture, Uncategorized and tagged 1980s, Abstract, Anish Kapoor, Art, British, contemporary art, Galleries, Lisson Gallery, London, Painting, Sculpture.